COMMERCIAL INVESTMENT! INSTANT INCOME!- MAIN STREET Price Reduced - Owner said sell! This is a great investment property! 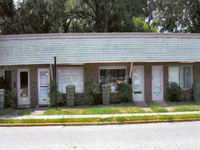 Has 4 separate office/business properties with 2,000+ sq ft. Located across street from IGA shopping center.